We launched this website in late 2010, prior to their name change from Barrhead & Districts Co-op. 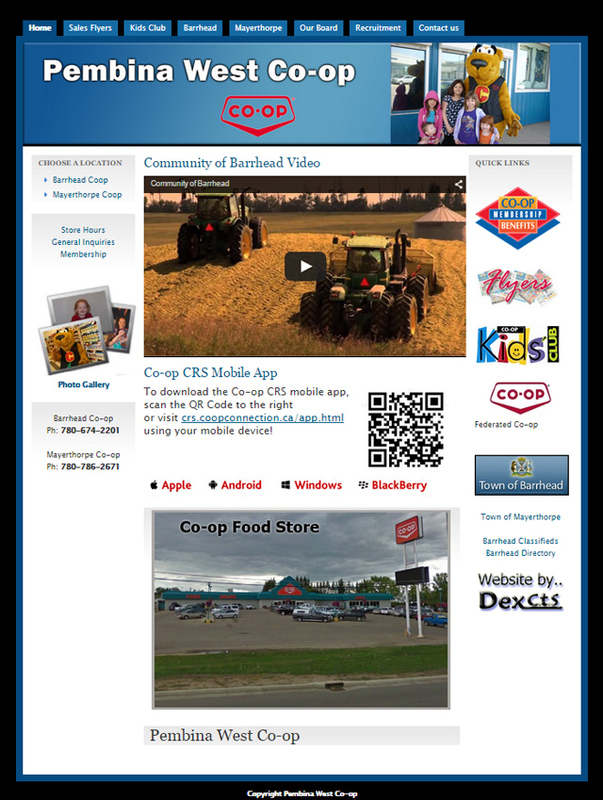 This was the Co-op's first website which would serve to let customers know about promotions, distribute their sales flyer electronically, and connect with the community through their photo gallery. Slideshow gallery on the home page as well as by department. "We could not be happier with our web site. Steve's Creativity and knowledge of website design is amazing. We wanted to make sure that our site could be used by all users and he came through with our request. WE LOVE OUR SITE.